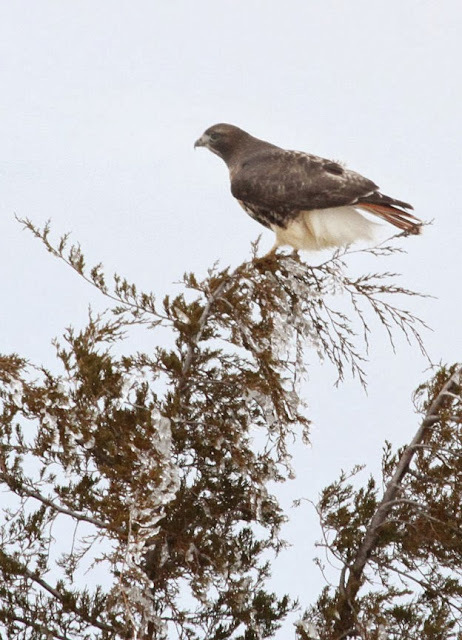 An impromptu trip to the Dead Creek area around Addison, Vermont yesterday resulted in some good sightings of hawks. 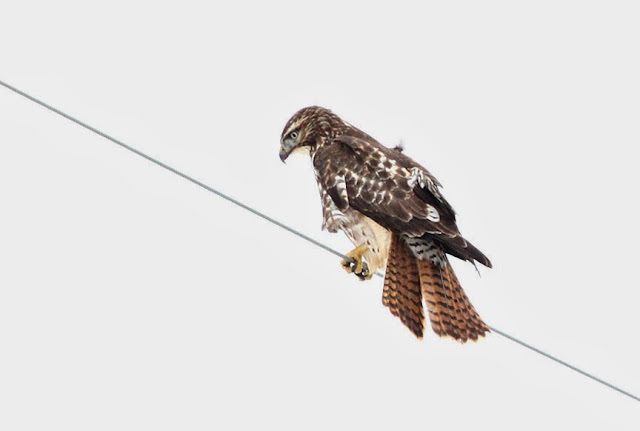 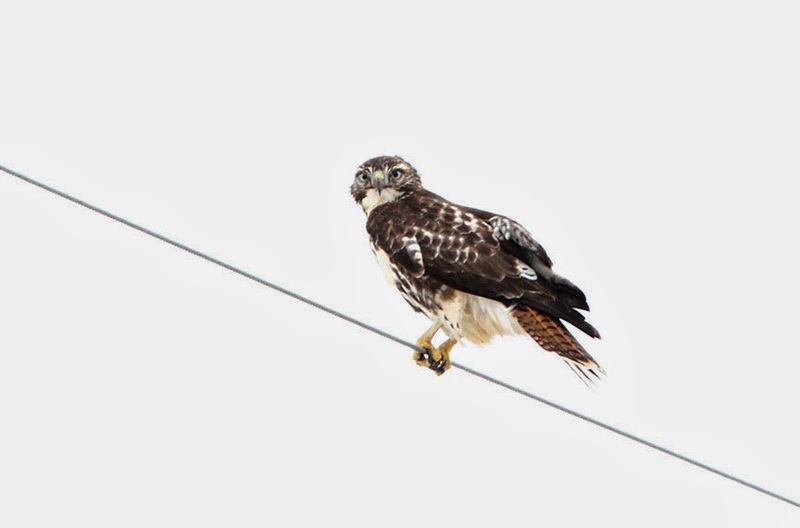 From the time we left our house, we saw red-tailed hawks along the roadside, sitting in trees or on power lines as this one was. 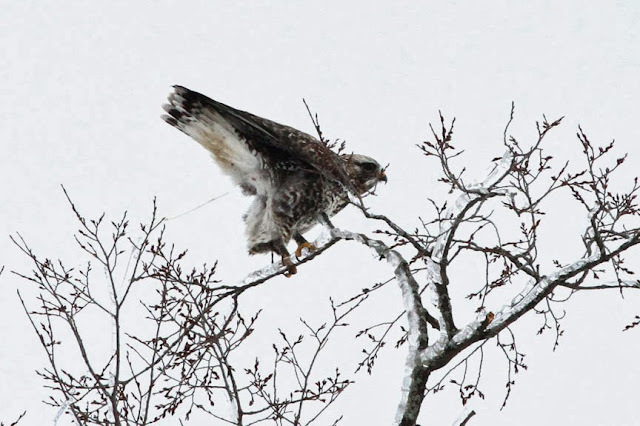 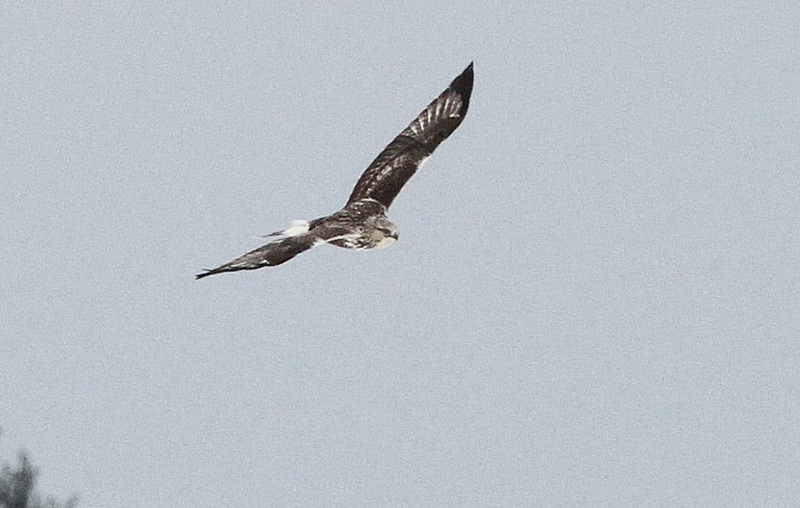 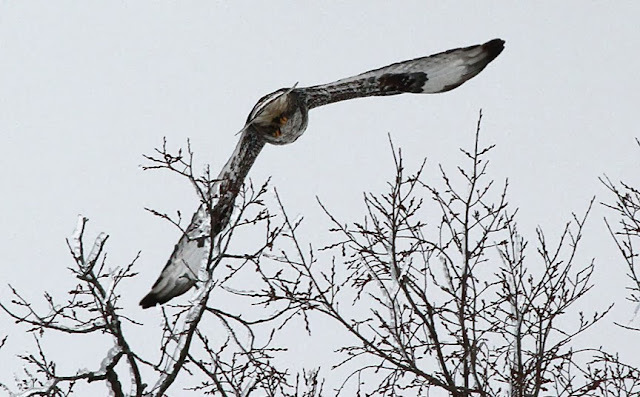 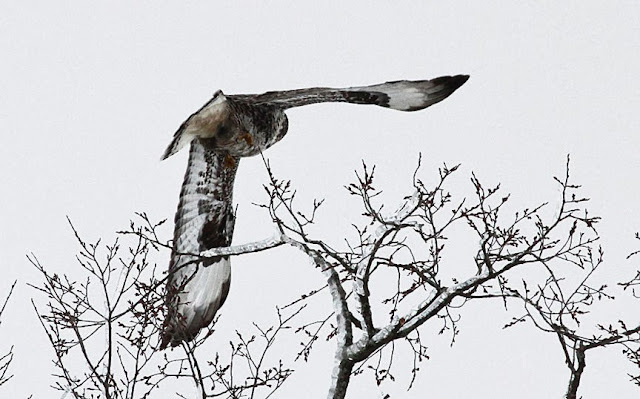 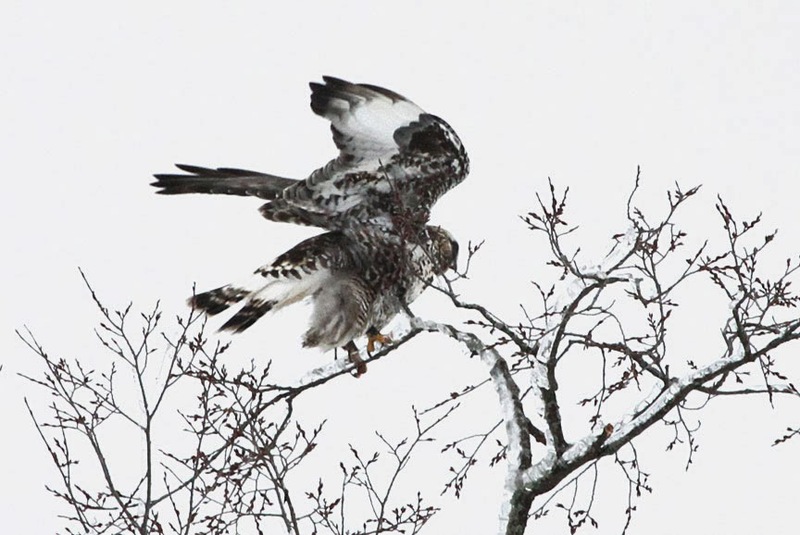 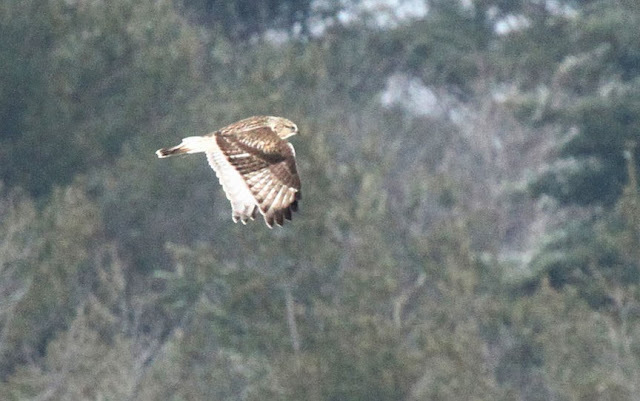 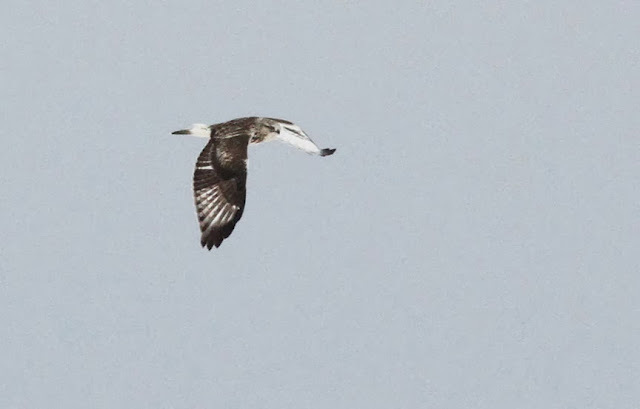 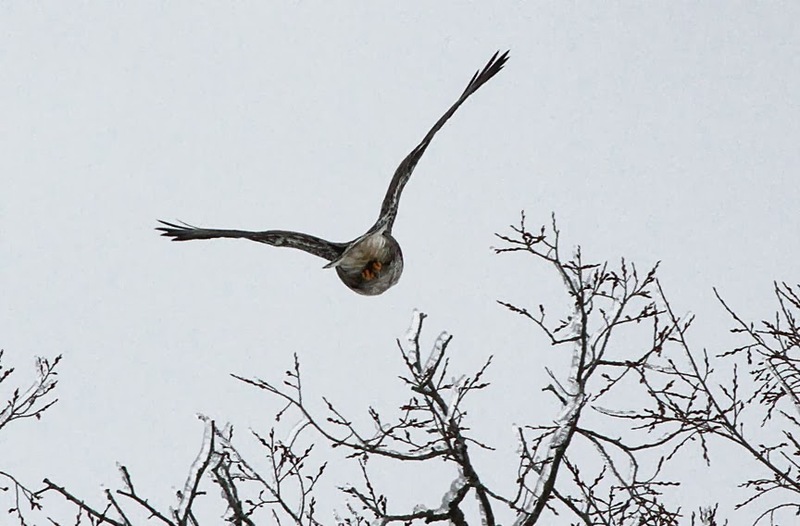 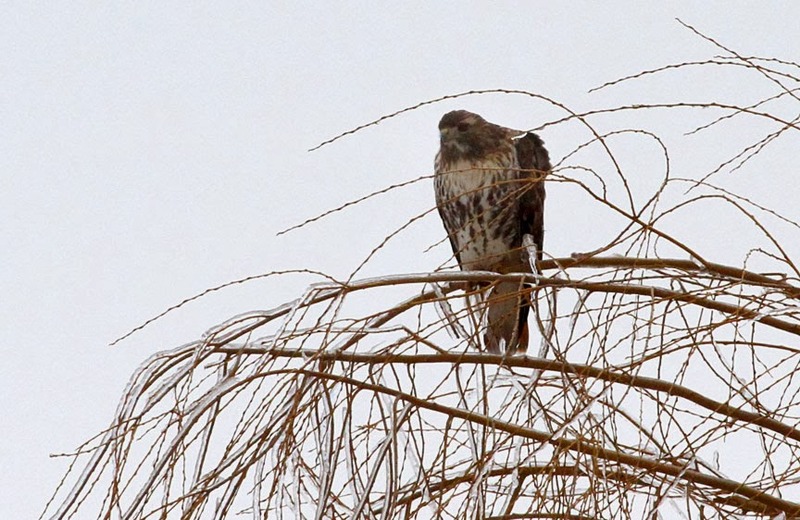 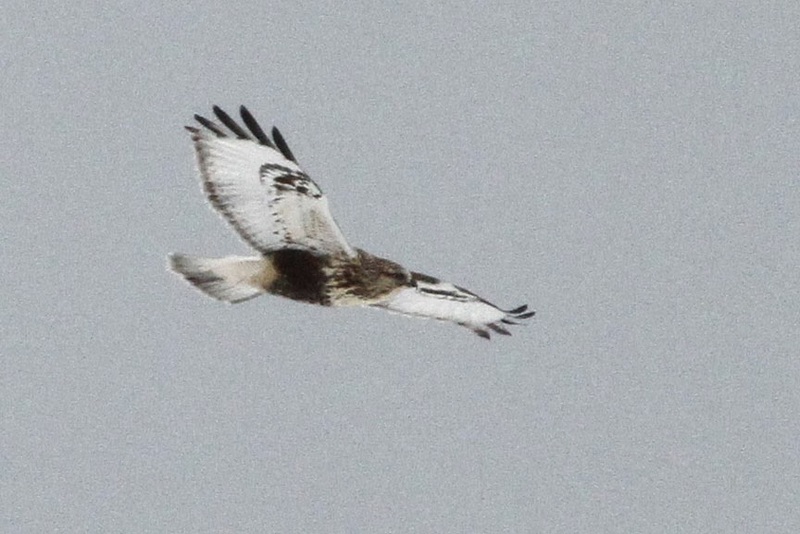 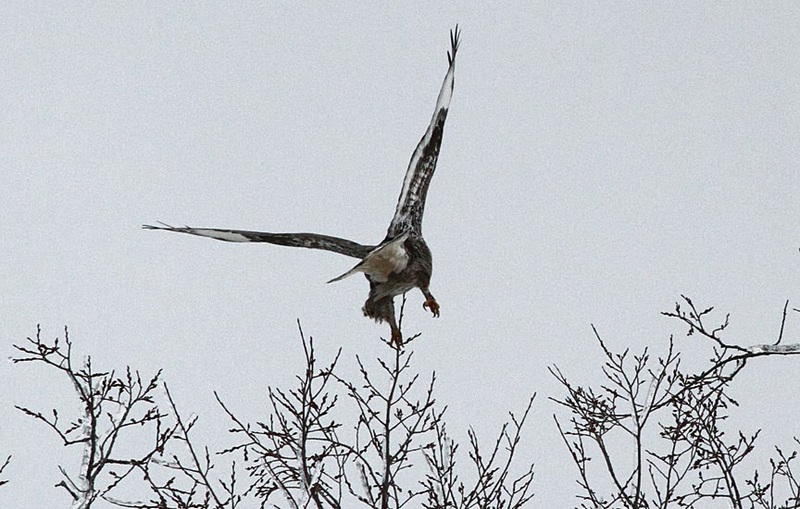 We didn't see our first rough-legged hawk until we headed north out of Orwell, into the lower Champlain Valley. This one is a light morph, the more common plumage. 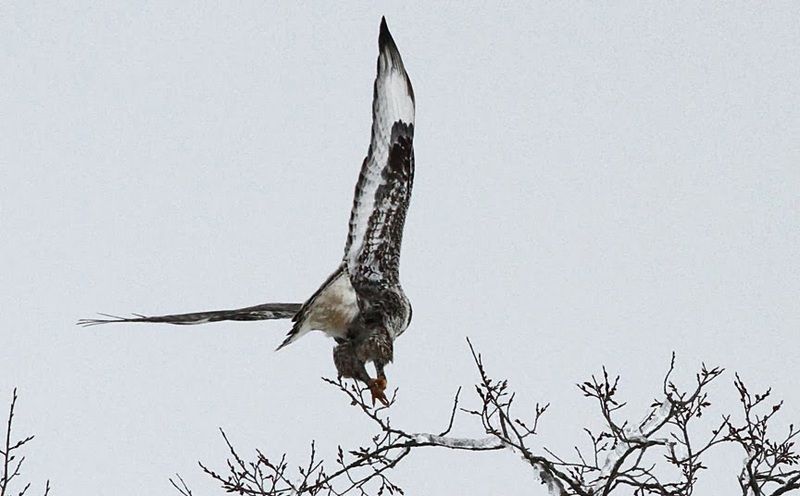 He was "kiting" (holding stationary in flight) while searching the field below for prey. 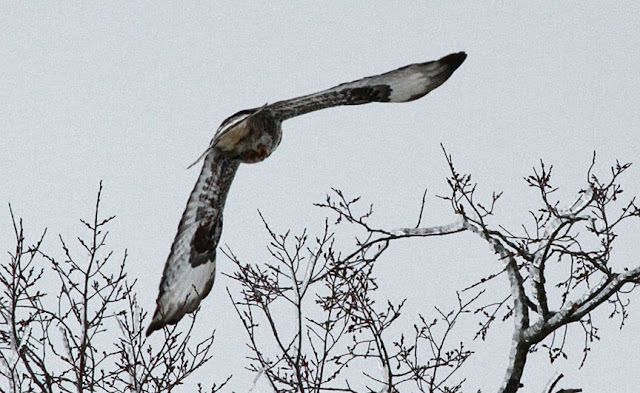 Red-tailed hawks also "kite". 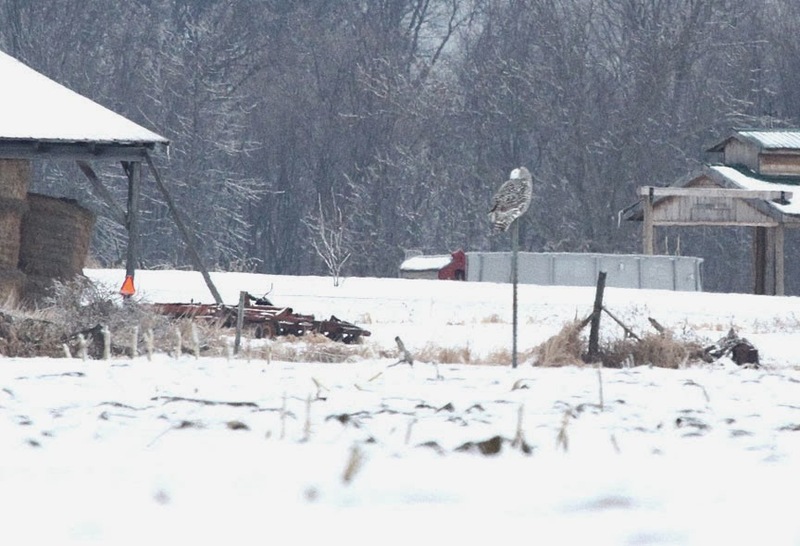 We found one snowy owl along the way in West Addison. The trees were still covered in ice from the recent ice storm. It didn't seem to bother this red-tailed hawk though. 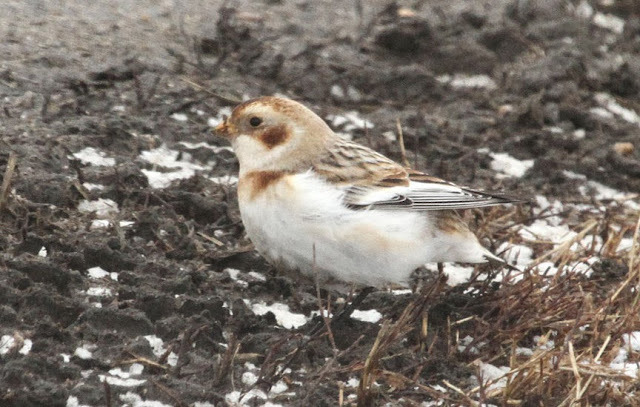 A snow bunting posed for some pictures by the side of the road.